I have often shied away from spicy food, perhaps of my personal lack of fondness for that riled up heat and churning sensation it created in my system or simply because I lack the tolerance level to stomach the fiery taste. That does not mean that I totally stayed away from hot and spicy foods; even if I wanted to, it was not entirely possible considering varieties popping up everywhere, an imminent effect of globalization and of course, backed by the fact of the surrounding culture and my geographical base, there is no way spicy food is not a part of it. 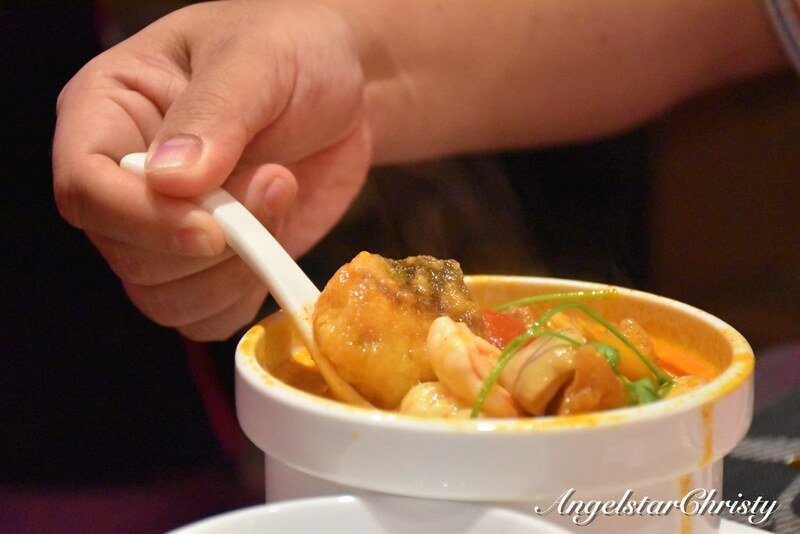 When it comes to hot and spicy food, it is just inevitable one would think of Thai cuisine; known for its tangy and excitingly flavorsome tastes. 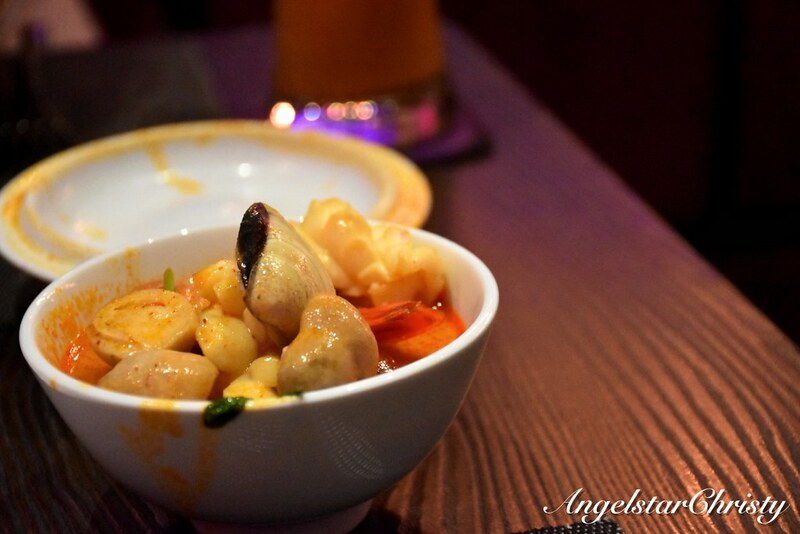 Thai cuisine is known throughout for its spicy food, and there is no shortage of it in my own country either, with the high preferences for that exciting and tastefully piquant taste. Unsurprisingly, many around the world are known to be fond of the flavorful cuisine as well, leading to the bountiful restaurants spurting in most cities around the world and Thai cuisine, is just not unheard of with its widespread influence today. 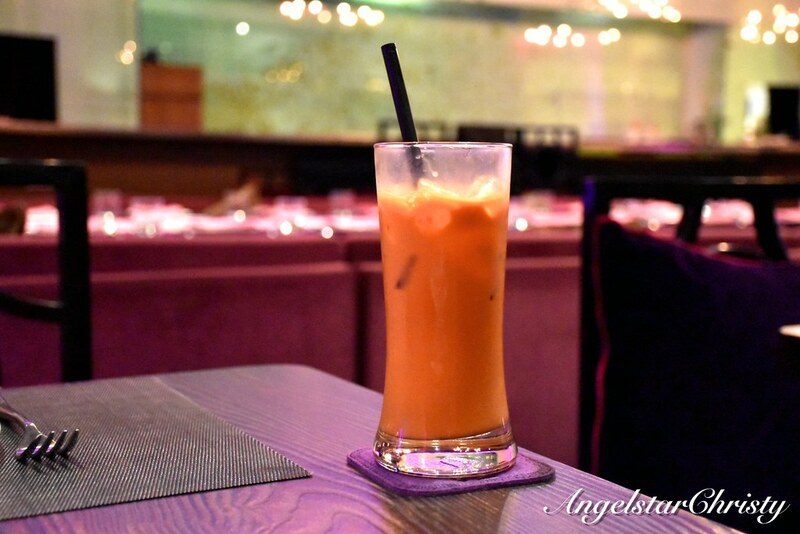 I have myself tried many versions of the Thai cuisine; venturing into restaurants parading their claim on their authenticity of the Southeast Asian cuisine and I would say that most of them have not been disappointing, thankfully. 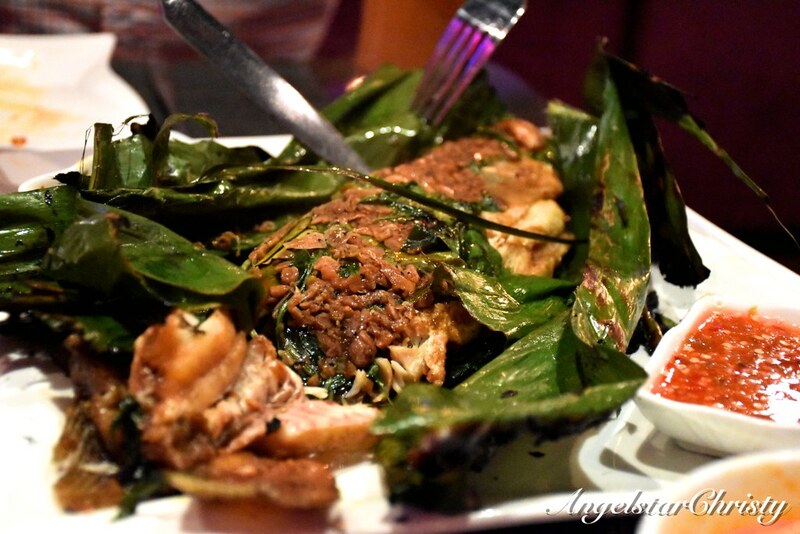 There are many memorable ones too; and though I rarely opt for Thai food when I am traveling, I have also found really good ones outside my country and the country of its origin itself. One such memorable one was during my stay in Vietnam, where I chanced upon this Thai restaurant which served impeccable and delectable dishes, as well as visually appealing in its presentation. 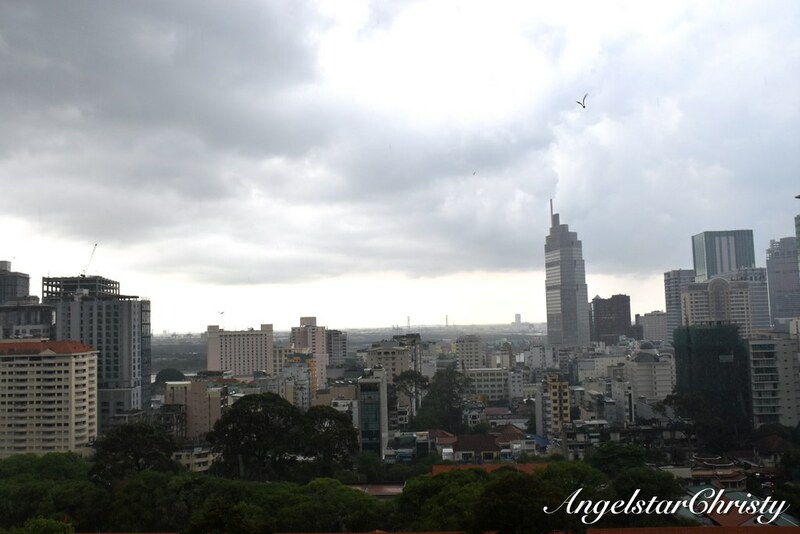 I wondered why I did not discover it earlier, during my several visits there. 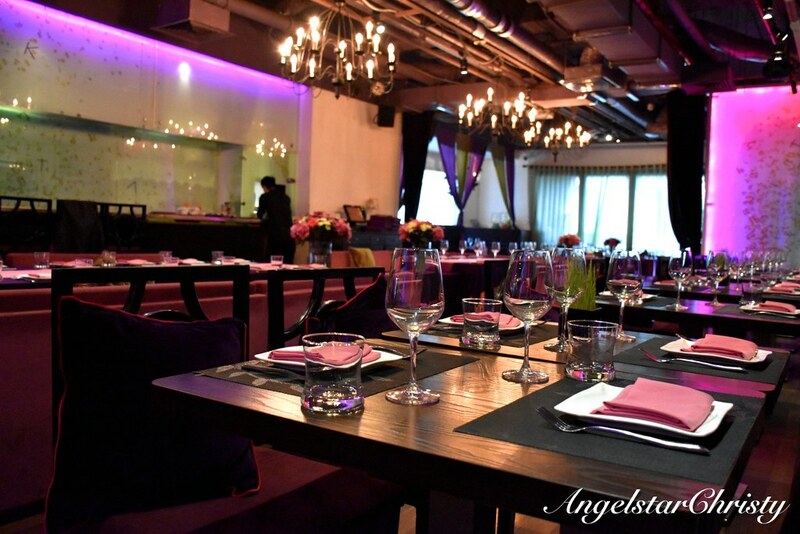 The interior of the restaurant was visually striking as well; creating a balance between modern luxury and the moody temperament in its ambiance and the carefully planned layout . It creates a very warm yet mysterious atmosphere when one enters the place and even so when sitting on the lush velvety cushions, while being distracted by the luxe details present in the glasses and placeholders before them on the table. However, that, is just a mild aversion to keep one at ease and adapt comfortably. Besides, the design is such for the restaurant also incorporates a bar and a cocktail lounge altogether. The food simply erased any cynicism or doubt of whether a restaurant bar would be able to live up to expectations. 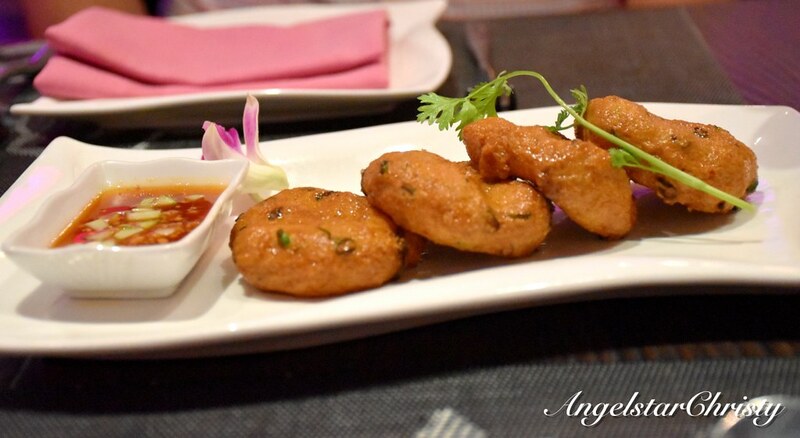 The Thai fish cakes made a startling kick start to the appetite; though amazingly so. 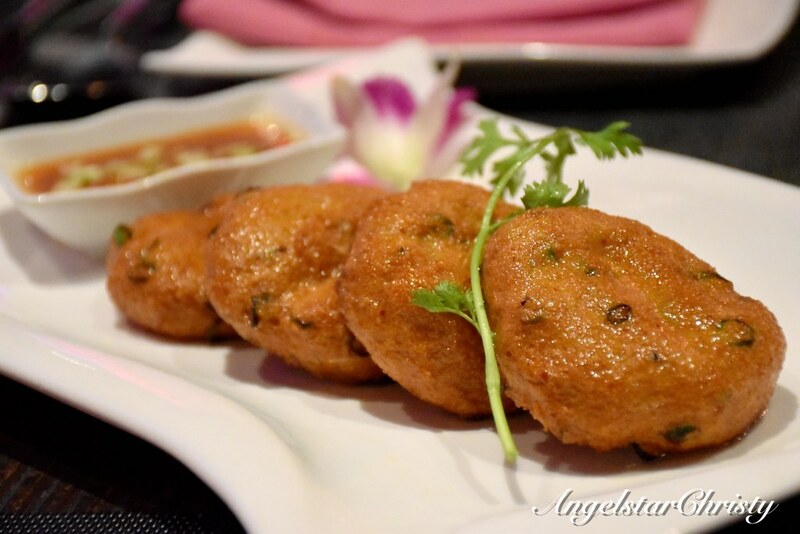 I am always on the hunt for good fish cakes, and it is just so hard to find them but here, these fish cakes hit the right notes in all aspects; from its texture to taste and flavor and downright to the serving size. 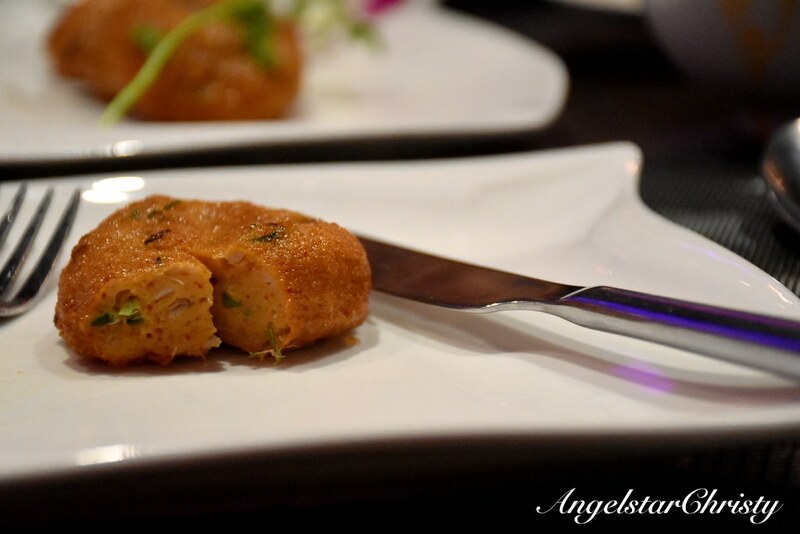 It was bouncing in the right amount of flavorful bites; providing that balanced springy taste and softness while bursting with the juicy tang of the luscious fish paste mashed perfectly in their own secret recipe. My only complaint would be that it was slightly more oily, but the taste of these fish cakes seem to blend right through the taste buds and melts with every bite. 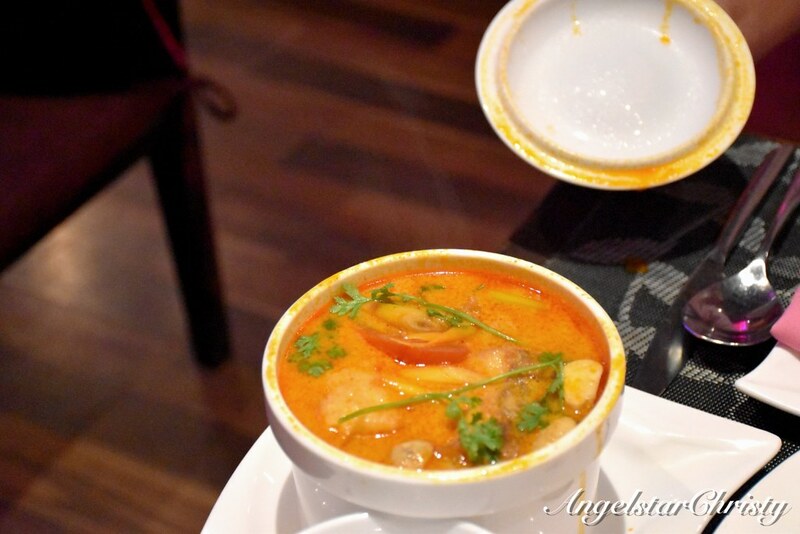 No Thai meal is complete with Tomyam, or so they say, and one that is cooked with the right amount of tang and flavors just fits the bill. 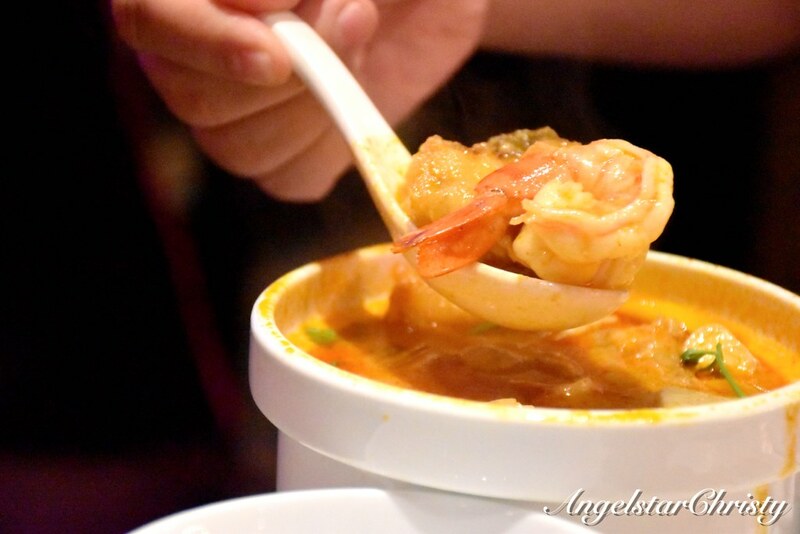 While I am not a great judge of Tomyam, I do know that not all Tomyam are made the same. 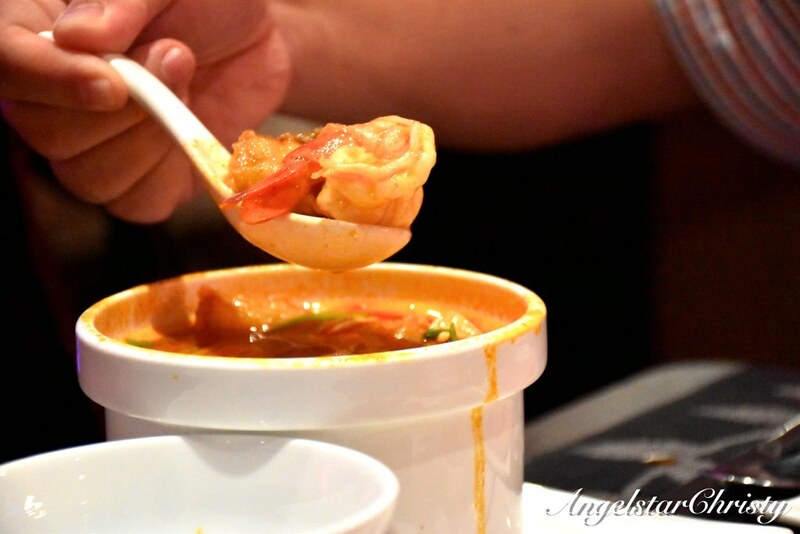 The version here is slightly thicker with a hint of richness in its taste; flavored by the generous amount of ingredients in spicing up the soup base, while carefully balancing between the fiery taste of the spices that it does not overwhelm nor overpower one's senses. One of my personal favorites; and perhaps the highlight, apart from the fish cakes (not that we ordered that much anyway), would be the fish. 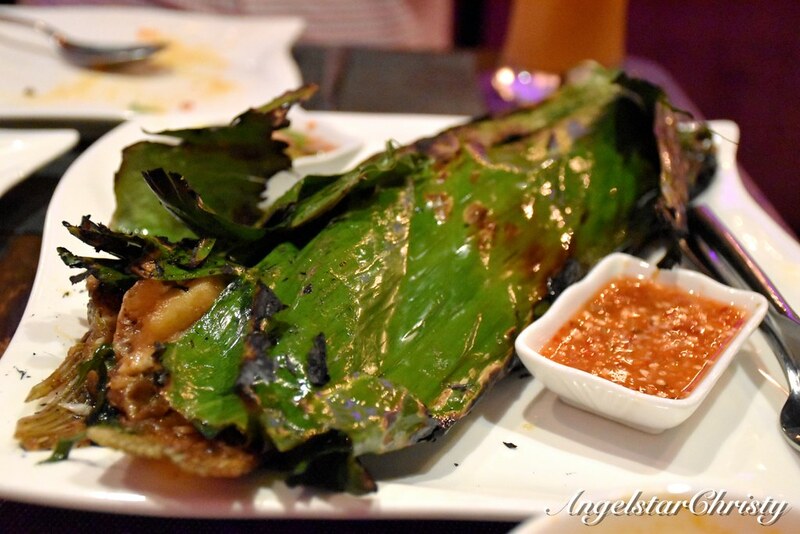 Grilled Sea Bass with spices wrapped in banana leaves. I can't remember all the details of the dish, but it was definitely delish. From the presentation to the pleasant aroma teasing in the air, this was set to be a winner from the moment it arrived. The flesh of the seabass was skillfully maintained in its freshness and lusciousness as each bite reveals the juicy tenderness of the fish while at the same time, dancing with the light crispy skin on the outer layer. The fish was delicately seasoned with their recipe spices, providing that mildly exotic and tangy flavors; piquing one's appetite for more as its aromatic flavors land on the tongue. A fulfilling meal which only needed a sip of the Thai's favorite iced tea to complete, and Oh, I forgot I was actually in a restaurant in Vietnam. 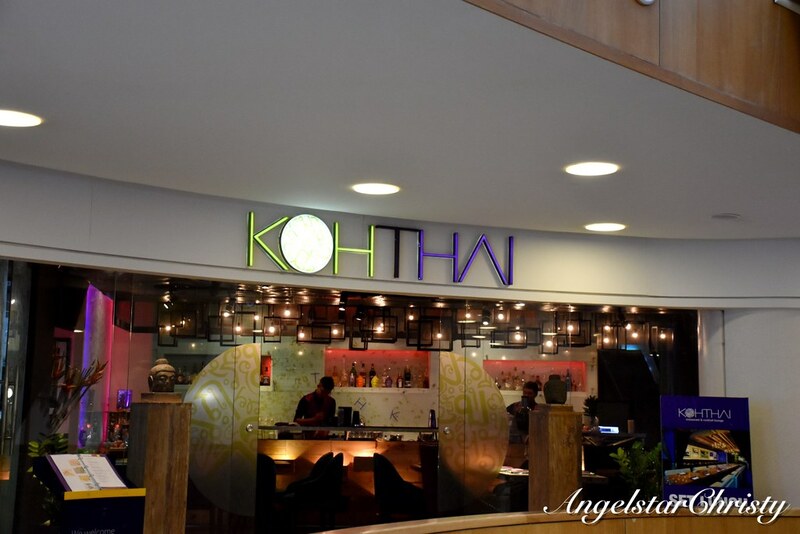 Koh Thai is also a chain restaurant and can be found in Hong Kong as well, though I am not sure if they are exactly the same or if they share the same menu as there is not much information available.